What is Maplestory 2 game? MapleStory 2 is a free-to-play massively multiplayer online role-playing game, developed by NSquare in association with Nexon and NCSoft. MapleStory 2 was released on 7 July 2015 in Korea. The game takes many of the features of the original game, MapleStory, and applies them to a 3D voxel-based environment. Most mobs, NPCs, and locations make a return in this sequel, although with several changes. Can Maplestory 2 Mesos use to buy anything? Maplestory 2 players can use mesos to purchase Pets, Crystals, Weapons, Armor, Mounts, Performances, etc. With enough mesos to make your game characters powerful and competitive. How to get the Maplestory 2 Mesos in the game? 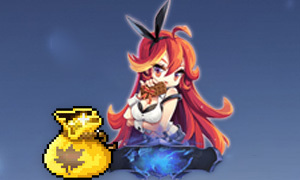 There are multiple currencies in the maplestory 2 world, such as Red Star, Blue Star, Havi Fruit, Treva, Maple Coin, Guild Coins, Premium Coin and Mesos. For maplestory 2, the main currency is mesos. Maplestory 2 Mesos can be earned by killing Monsters, completing quests, selling items on the Black Market, and selling items to vendors. Joymmo.com has many years of experience in the field of Maplestory 2 Mesos for sales, providing excellent pre-sales and after-sales services for more than 80,000 customers. 24/7 Live Chat service to keep you can get reply back in a few minutes.